If you are an enthusiastic, friendly person, who wants to be part of a team of wonderful people, all working toward a common goal of excellence, we'd love to have you apply. Please email resume and cover letter, with interests and preferred site location[s] indicated, to Danielle Barry, dbarry@sportimeny.com. Tennis Professionals at SPORTIME Harbor Island: Join our team of tennis professionals at our beautiful Mamaroneck location, please send your resume to the Director of Tennis Khayot Narzikulov at khayot@sportimeny.com. Must have 2-3 years teaching experience. Tennis Professionals at the Westchester County Annex of the John McEnroe Tennis Academy: Join former D-1 and ATP/WTA professionals and our world-class pro staff by sending resume to JMTA Lake Isle Director Fritz Buehning at fritz@sportimeny.com. Must have 2-3 years teaching experience. 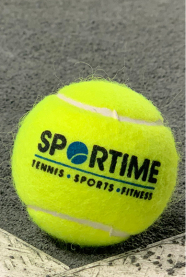 Personal Trainers/Floor Trainers/Fitness Instructors: SPORTIME always needs certified trainers for our fitness clubs in Nassau and Suffolk counties, as well as upstate in Schenectady. Please email resume and cover letter to Danielle Barry at dbarry@sportimeny.com with preferred site location[s] indicated.